An Italian court on Tuesday called for incoming new Chelsea manager, Antonio Conte, to receive a six-month suspended prison sentence over match-fixing allegations during his time in Italy. 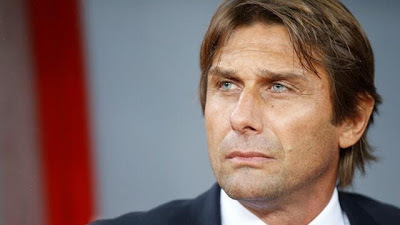 The Italian, who was confirmed as Chelsea's new coach on Monday has been accused of sporting fraud during his time as manager of Siena, in Serie B in May 2011. Siena gained promotion to Serie A that season, with that success earning Conte the job at Juventus, the club he graced as a player for 13 years. In 2012, when he was in charge of Juventus, Conte was hit with a 10-month ban by the Italian football federation over the affair, reduced to four months on appeal. According to Conte's lawyer, an Italian prosecutor wants incoming Chelsea boss Antonio Conte to get a six-month suspended prison sentence and fine over his alleged role in match fixing. Prosecutor Roberto di Martino has cited a match against Albino Leffe, claiming Conte knew of match-fixing efforts. He requested the sentence and 8,000 euro fine in a closed-doors hearing in Cremona on Tuesday. Conte's lawyer, Leonardo Cammarata, said the defence is due to make its final statement to the court on 11 April and a verdict is due in mid-May.